Gain a detailed understanding of the protocols, network architectures and techniques being considered for 5G wireless networks with this authoritative guide to the state of the art. • Get up to speed with key topics such as cloud radio access networks, mobile edge computing, full duplexing, massive MIMO, mmWave, NOMA, Internet of things, M2M communications, D2D communications, mobile data offloading, interference mitigation techniques, radio resource management, visible light communications, and smart data pricing. • Learn from leading researchers in academia and industry about the most recent theoretical developments in the field. • Discover how each potential technology can increase the capacity, spectral efficiency, and energy efficiency of wireless systems. 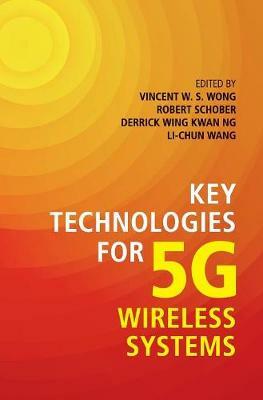 Providing the most comprehensive overview of 5G technologies to date, this is an essential reference for researchers, practicing engineers and graduate students working in wireless communications and networking.